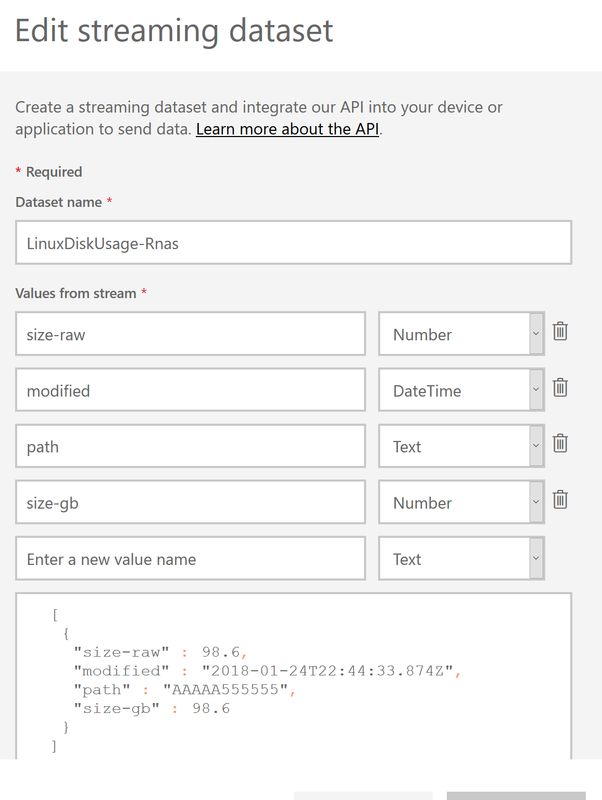 This post digs into getting regular disk space data out of linux, sending to an Azure Logic App for submission into PowerBi for visualisation. So in my last post, i set up an rsync server to take a load of files from my “on-premises” storage. I have a reasonable internet connection, but am impatient and was always checking progress by logging into my rsync server and checking directory size using the du command. So the first step is take the output that i like, and get it into a better format. Here’s what i came up with, it’s a little hacky as to create valid json i have an empty object at the end of the array to avoid messing around with last-comma removal. This outputs valid json, which i can then curl out to a waiting Logic App, Power Bi dataset, or just a web service. 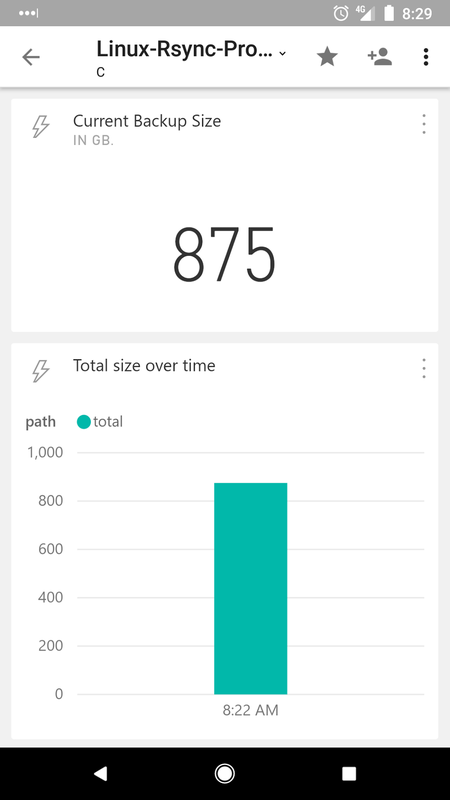 So i chose to post the data to an Azure Logic App. 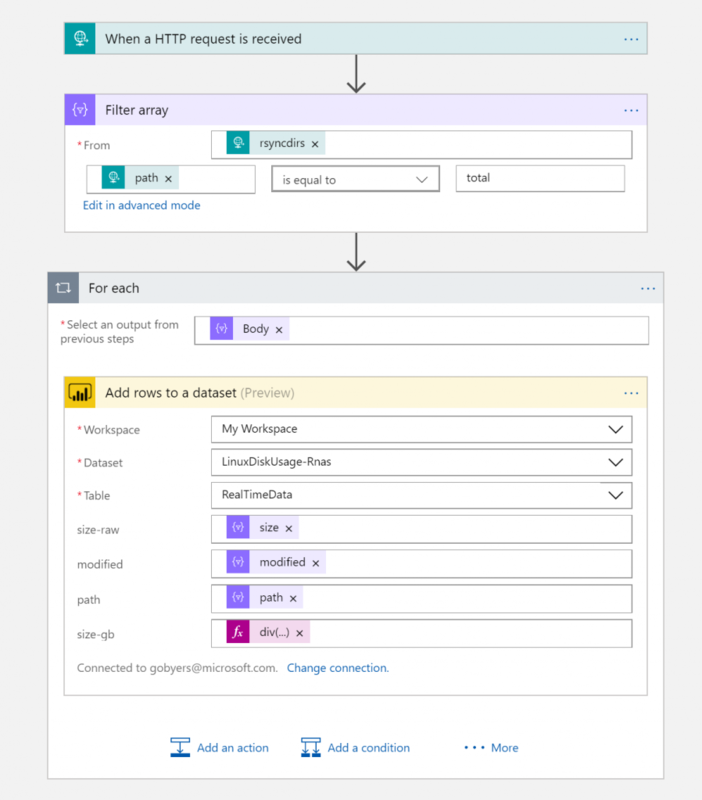 This way i can take advantage of it’s pre-built connectors for email/power-bi whenever i change my mind about what to do with the data. 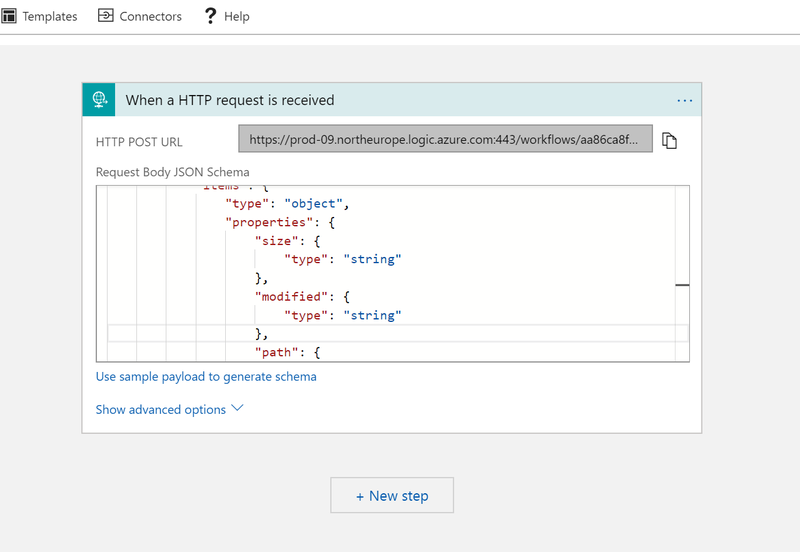 I new up a Logic App in Azure, choosing a Http Request/Response trigger template, pasting in the json – it creates the schema for me and i’m ready to go. So now that i’ve got a URL from Logic Apps to post to i can create the curl command on my linux box. -X POST --data "$RSYNCDIRDU" "https://the-url-to-my-logic-app"
Ok, so all works as planned. Lets get this reporting the data every hour. Then lets schedule it for every 30 minutes. So up until this point the Logic App contains 1 action, a trigger to receive the data which it does nothing with. 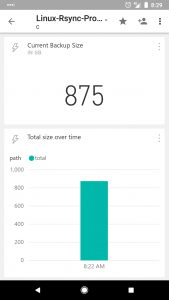 Lets send the data over to PowerBi so i can quickly check it from my mobile app when I’m interested. 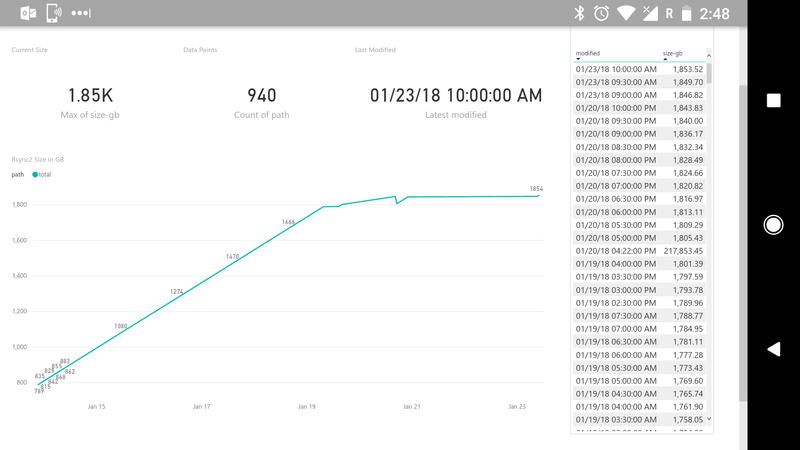 First up, head to PowerBi, click on a workspace and then add a dataset. 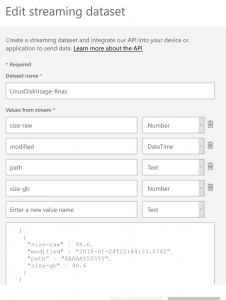 I’m going to use a streaming dataset, with the API model. You provide the field names and that’s it. Next, we add add a few more actions to the Logic App. So, once we have data going into a PowerBi hybrid streaming dataset we can craft some reports.